I have known about this collaboration for a few weeks and am very excited to reveal it today. Unfortunately there wasn’t time to add TheAppWhisperer into this collaboration, but the National Gallery and the team behind Brushstroke (Code Organa), did try very hard. To celebrate The Credit Suisse Exhibition: Monet & Architecture, The National Gallery have teamed up with Brushstroke app to offer you a free app download (usually $/£3.99) and a chance to enter their photography competition. You’re all invited to follow @national_gallery on Instagram and use the Brushstroke app to experiment with filters, and share an image featuring architecture near you, inspired by the exhibition. ‘Monet & Architecture’ is the first ever exhibition looking at Monet’s career through the buildings he painted: in Normandy, in Rouen, in Paris, London, and Venice. From buildings in villages and by the coast, to some of Europe’s most famous monuments, Monet painted the architecture of his time – modern, historic, simple, and grand. The exhibition brings together over 75 paintings by Monet, and shows how Monet used architecture to create his compositions, both in his most famous paintings and lesser-known works. Follow @national_gallery on Instagram and share your image with us using the hashtag #MonetBrushstroke, or you can email your entry to ecrm@ng-london.org.uk. The competition opens on 25 May at 10am BST and closes on 28 May at 11.59pm BST. One winner will receive a framed print of their winning image with free shipping, courtesy of Brushstroke App and CanvasPop. The winner will also receive a pair of tickets to ‘The Credit Suisse Exhibition: Monet & Architecture’ in London, the exhibition catalogue and a creative goody bag from the National Gallery Company Ltd. 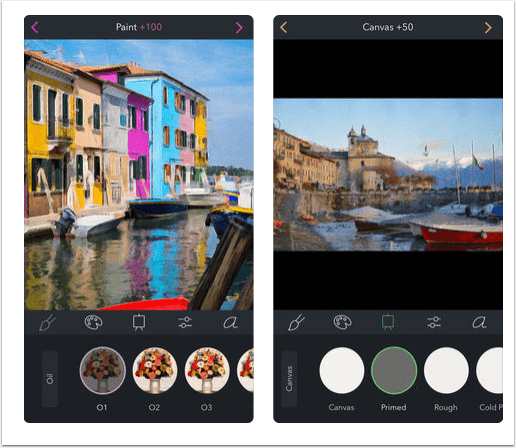 The Brushstroke app is free to download (and it’s rarely free) until midnight on Monday 28 May, when the competition closes.